Best Ghost Footage Taken On Hospital Security Camera. 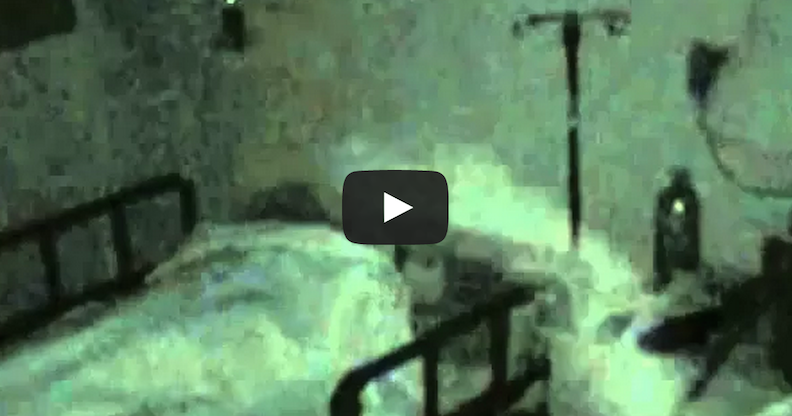 What you are about to see his actual footage of a ghost taken by a hospital security camera. The actual security camera footage of the ghost only lasted about one second in real time. The video below shows the real-time footage, and also slows it down so you can see the shape and the movement of the ghostly figure. But the eeriest shot by far is of the spirit looming over the patient’s bed. 10 Of The Best Break Up Texts Ever!